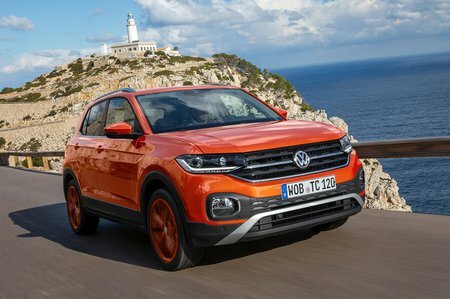 Volkswagen T-Cross Boot Space, Size, Seats | What Car? You’ll have no problem fitting in the front of the T-Cross if you’re tall. Leg room is as generous as it is in a Polo and – as with the Arona – being a high-roofed SUV, there’s plenty of head room as well. It’s not exactly cramped width-wise, but the slightly wider VW T-Roc offers more elbow room between you and your passenger. Storage options are plentiful. There’s a sliding drawer under the driver’s seat, a large glovebox and door bins, plus a multitude of trays, cubbies and cup holders for all your odds and sods. By the standards of the small SUV category, rear space in the T-Cross is very impressive. There’s roughly the same amount of leg and head room as there is in the back of the Arona; enough for a couple of six-footers to be comfortable, even when sitting behind their equivalents in the front. If you regularly need to seat three adults in the rear, though, the wider T-Roc is more generous on shoulder room. A definite bonus is its relatively unobtrusive central floor tunnel. It allows the middle passenger to slide into their seat without obstruction, and doesn't force them to sit legs akimbo with a hump to straddle. This is a T-Cross strength. 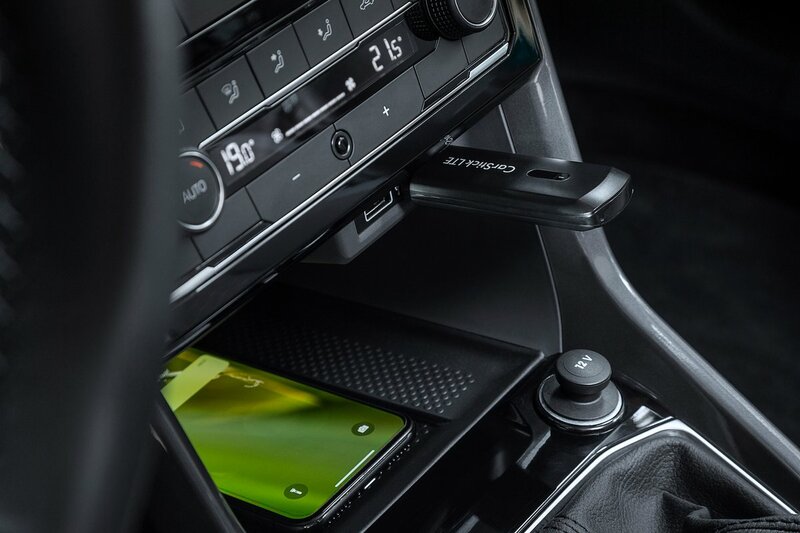 Every model offers the flexibility of sliding rear seats that let you prioritise boot space or rear leg room depending on need – the closely related Arona doesn’t offer this feature. The rear seats also split 60/40 for those times when you need to accommodate bigger loads. Another plus is that the front passenger seat offers the same height and lumbar adjustment as the driver’s, as standard. Once again, the T-Cross impresses. We’ve already mentioned its sliding rear seats and, even when slid fully back to maximise rear leg room, the boot capacity is 385 litres. That’s bigger than many of its rivals’ and roomier than a VW Golf’s. It’s enough for a buggy or a decent haul of holiday luggage and, if you slide the seats forward, expands to 455 litres. That’s more boot space than you get in the bigger T-Roc. 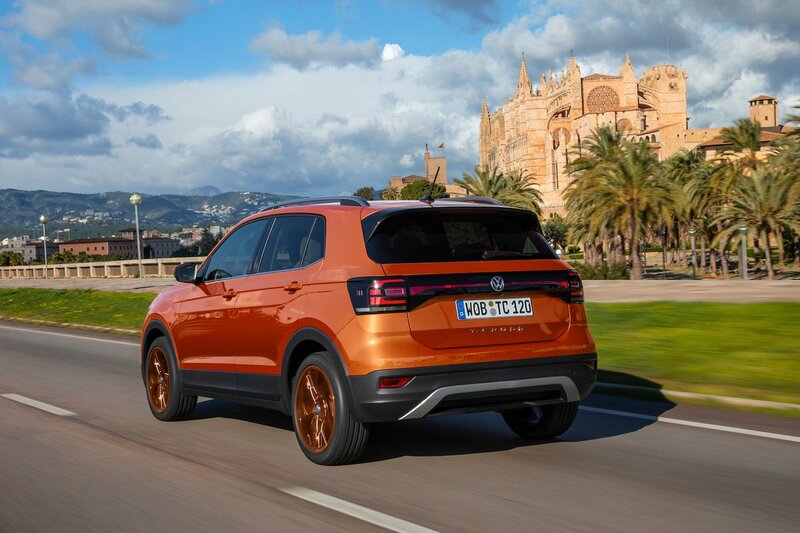 Another bonus is its height-adjustable boot floor (standard from SE trim), which allows you to create a separate space beneath the main boot compartment. When raised, it levels out the step in the floor that’s formed when you fold down the rear seats. It’s not available in conjunction with the Beats Soundpack, though, due to the space occupied by its subwoofer.